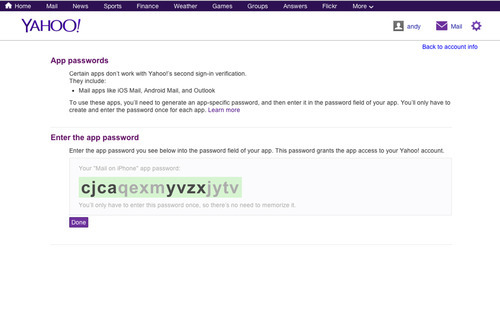 Yahoo today announced yet another layer of security for its users: app passwords for Android and iOS. The new feature means you can control who has access to your apps even when your mobile device is lost or stolen. Yahoo describes an App Password as a temporary password that you can enter into its native Android and iOS apps “for added protection” and thus authorize a device to access them. A new temporary password is created for each app and device. To enable the feature, go into your Yahoo account settings, turn on second sign-in verification, and generate a one-time app password. Next, enter the password in your mobile app, and your device will be permanently logged-in. If you misplace your device, you can easily revoke access to each individual app and device from the settings page. 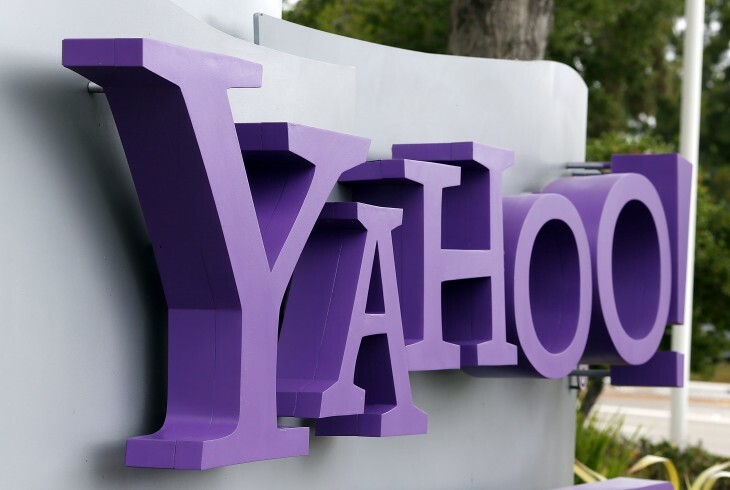 This means whoever finds your device will be locked out of your Yahoo apps even though you left them logged-in. This also means you don’t have to change your Yahoo password when you lose your device, unless of course you forgot to logout of your account in the browser. That being said, you should probably change your password as often as possible. While temporary app passwords aren’t perfect (they require quite a bit of setup time that most users simply don’t have) but they’re certainly a move in the right direction. Yahoo needs to make improvements like this one as its security track record, especially when it comes to its email accounts, is abysmal.